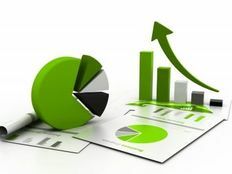 Traders use a variety of different ratios and indicators to evaluate individual securities or the market as a whole. Fundamental indicators can help determine the long-term direction of the market, while technical indicators can provide short-term insights into price movements. In general, traders should use both types of tools in order to draw the most accurate conclusions about the market. In this article, we’ll take a look at the 10 ratios and indicators that traders watch most closely to predict future price movements. Price-earnings (“P/E”) ratios are perhaps the most commonly cited fundamental ratios in the equity markets. By dividing the price per share by earnings per share, traders can get a general idea of how under- or over-valued an equity is relative to the market as a whole. For example, a stock trading with a P/E ratio of 50x compared to an industry average of 20x might be deemed overdue for a correction. Traders also watch the average P/E ratio of the S&P 500 and other major U.S. indexes to get an idea of the overall market’s valuation. By comparing the current multiple with the historic mean and median, traders can get a good idea of whether the market is top heavy or bottoming out. The ratio provides no detailed timing information, but the fundamental bias remains important to know. Price-sales (“P/S”) ratios are perhaps the second most commonly watched fundamental ratio in the equity markets. By dividing the price per share by sales per share, the metric provides insights into how a company is valued relative to its top-line revenue. The metric is especially useful for unprofitable companies, since P/E ratios cannot be calculated for those companies. Just like the P/E ratio, traders also watch the overall P/S multiple for large indexes like the S&P 500. Movements above or below the historical mean or median could suggest that the market is top-heavy or bottoming out. Again, the ratio doesn’t provide much information about timing, but it can be very useful in determining where prices are headed over the long-term in terms of a fundamental bias. Debt-equity ratios are commonly used to assess the default risk associated with individual equities. In general, companies with debt-equity ratios of more than 1.0x are considered to be risky since their debt levels exceed their equity capitalization. These ratios can be sustainable depending on the level of debt service and the company’s ability to grow equity to close the gap. Some industries have naturally high debt-equity ratios, such as the commercial shipping industry, since it involves high capital costs. In these cases, traders should take into account the debt-equity ratio relative to industry peers rather than on an absolute basis. Traders should also keep an eye on interest rates, since rising interest rates increase required payments, and could cause financial trouble. 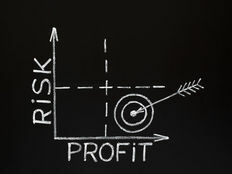 Price-cash (“P/C”) ratios are a useful measure of a company’s liquidity in terms of cash and short-term securities. In general, companies with a P/C ratio of less than 1.0x are considered to be attractive since their cash position exceeds their market value. These depressed valuations are considered to be unsustainable over the long-term, since a buyer would likely emerge for such a company. Unlike P/E or P/S ratios, traders tend to use P/C ratios on individual equities rather than comparisons between equities or over various timeframes. Traders should carefully consider potential reasons for depressed P/C ratios of less than 1.0x, since the undervaluation may be justified. For example, companies with persistent net losses may trade below cash value in some cases. Price-earnings to growth (“PEG”) ratios are a useful metric that compares a company’s P/E ratio to its growth rate. In general, companies with higher growth rates should be valued higher than companies with slower growth rates. The PEG ratio attempts to determine a fair valuation for these rapidly growing companies by dividing the P/E ratio by long-term growth rates. Traders should watch for PEG ratios below 1.0x to indicate situations where a company might be undervalued relative to its growth. For example, a company trading with a P/E ratio of 10x and growing at a 20% annual rate would yield a PEG ratio of 0.5×. Traders might consider the company undervalued relative to its growth rate and consider the stock to have an upwards bias. Moving averages are great technical indicators that provide a smoother picture of a stock’s price movements by taking an average over time. For example, a 20-day moving average takes the average of the last 20 days and uses that as a current price point. The most highly watched moving averages include the 20-, 50-, and 200-day moving averages, although they may vary from stock to stock. Traders often watch for different moving average dynamics, such as crossovers between different moving averages, as technical signals. For instance, the moving average convergence divergence (“MACD”) indicator has become a popular measure of price trends by tracking the difference between two different moving averages over time in terms of absolute and relative positions. The Relative Strength Index measures the strength of a given trend by comparing the average gains and losses over a set period of time. In general, RSI values over 70 are considered overbought and values below 30 are considered oversold. The most common timeframe measured by the RSI indicator is the 14-day average gains and losses, which provide the right amount of volatility. Traders use the RSI to determine the momentum associated with both individual stocks and market indexes. For instance, an S&P 500 RSI reading of 75 may suggest that equities are overdue for a correction and lead traders to have a bearish bias when looking for individual opportunities. An individual stock trading with a RSI reading of 20 may also suggest a rebound is likely ahead. The numbers of advances and declines is a useful indicator of a broad market index’s underlying momentum. Often times, an individual stock can significantly influence the direction of a broad market index and obscure the true underlying movements of the index. Advance/decline lines can help show the true picture by telling the net movements of component stocks. The advance/decline volume line can also be extremely useful for traders looking at an index’s dynamics. For instance, the S&P 500 may have a high net advance/decline index reading indicating a lot of stocks moving higher, but slowing overall volume may indicate that the index is topping. Traders often watch both of these indicators together to get a true picture of where major indexes are heading. The put-to-call ratio provides traders with an excellent idea of where the market may be heading in the future. Rather than analyzing current price movements, the put-to-call ratio looks at where option trades are predicting future moves to occur. In general, a high put-to-call ratio is seen as a bearish indicator while a lower put-to-call ratio is seen as a bullish indicator for major stocks or indexes. Traders often watch for changes in the ratio as a sign that the market may be ready to turn in the near future. For example, the S&P 500 may be rising and reaching new highs, but a growing put-to-call ratio may suggest that traders are positioning themselves for a decline by purchasing more puts than calls. Put options, in these cases, are presumably protective puts designed to hedge against downside risk. The Chicago Board Options Exchange Market Volatility Index (“VIX”) is a popular measure of S&P 500 index options’ implied volatility. By measuring options rather than equity, the index predicts future volatility over the next 30-day period rather than the current volatility within the index. 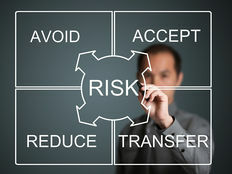 Many financial professionals refer to the index as the “fear index” or “fear gauge” as a result. Traders can use the VIX in several different ways, ranging from guiding equity trades to positioning options trades. For example, a rising VIX could be a sign that the market is expecting a reversal after a large rise or fall. Traders may also be interested in exiting options positions that could deteriorate with volatility given the expectation in the broad market index that could trickle down. Traders have access to a number of different fundamental and technical indicators that can help improve their risk-adjusted returns. Just like multiple timeframe analysis looks at more than one timeframe, traders should use multiple fundamental and technical indicators to come up with the best trade ideas.